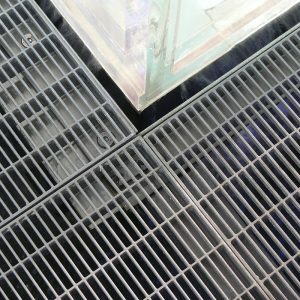 Electrofused anti-slip gratings Type-EFS for industrial applications are made from serrated bearing bars and twisted transverse bars. 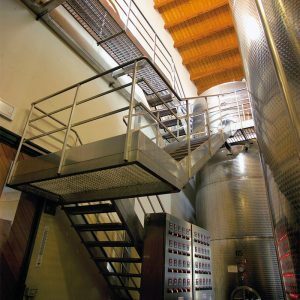 Framed panels are manufactured to custom-sizes for applications such as walkways, service platforms and escape stairs. 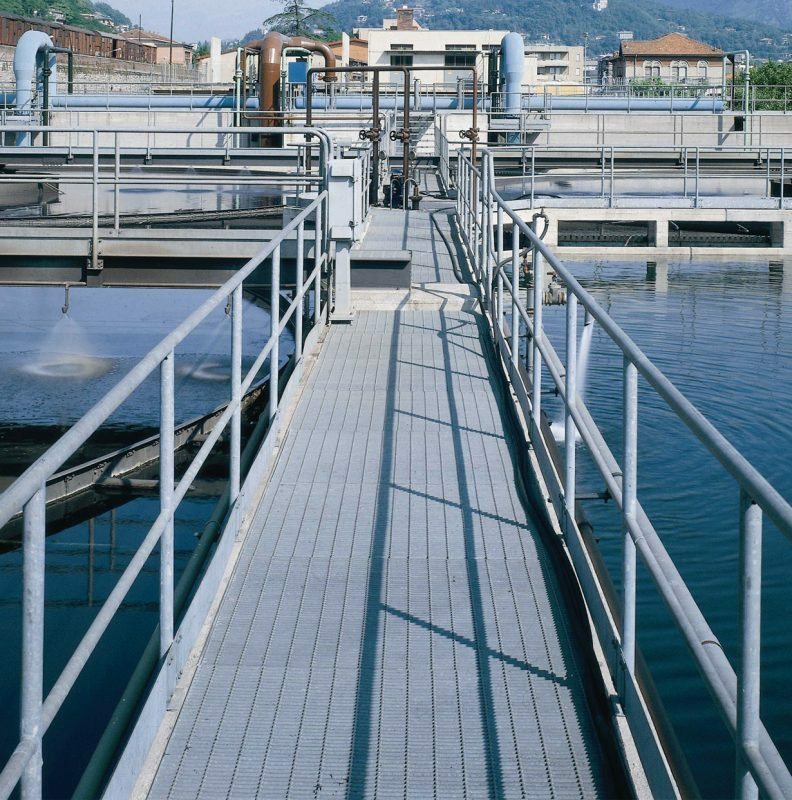 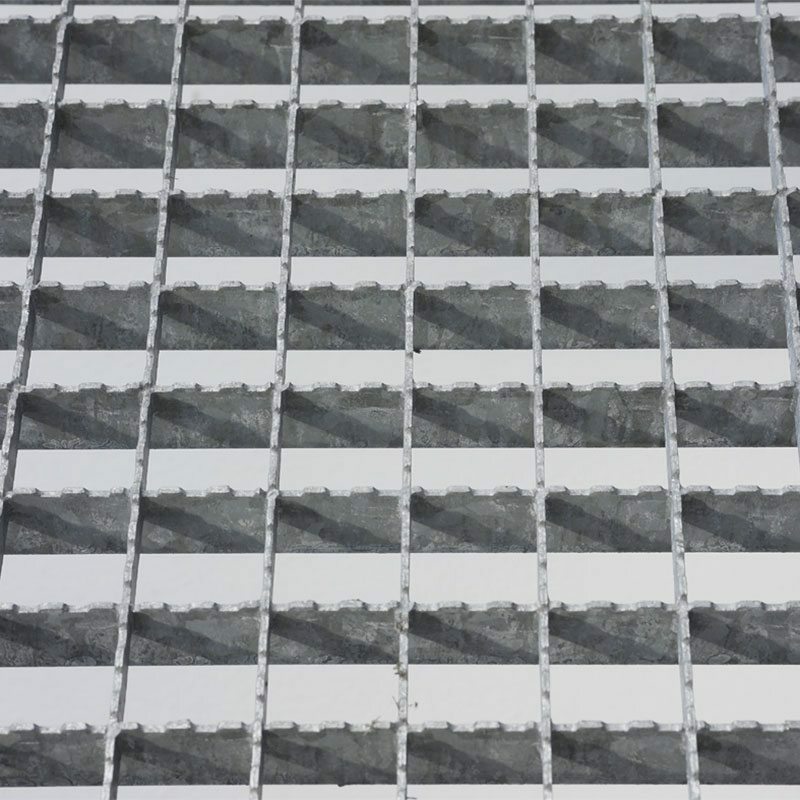 Panels and support steelwork are supplied hot-dip galvanized. 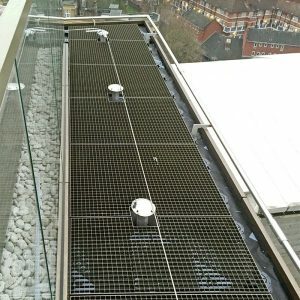 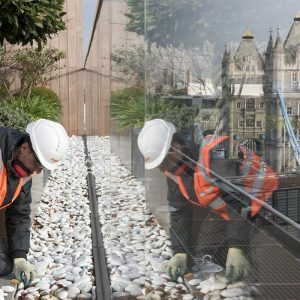 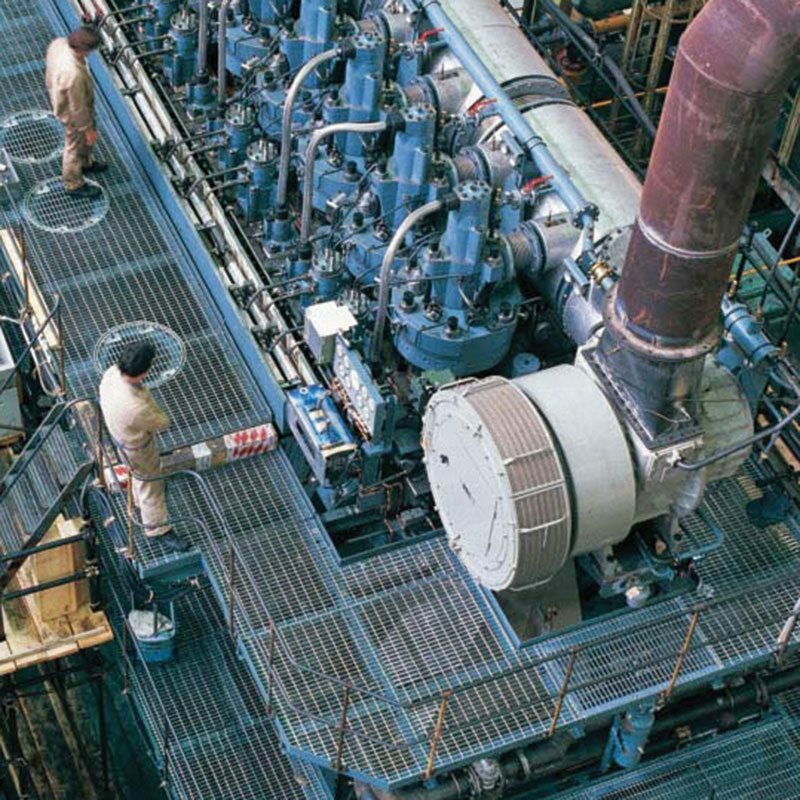 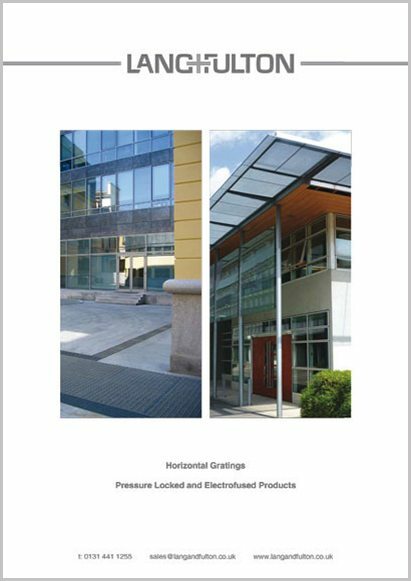 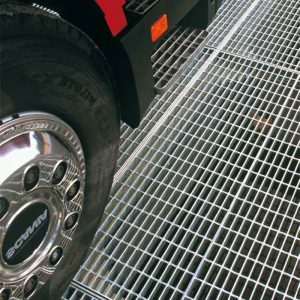 Safety Gratings (Type-EFS): any grating with an aperture of 22 mm wide or less, which will prevent the passage of a 20 mm sphere, can be classified as a safety grating in accordance with BS 45920: 2006. 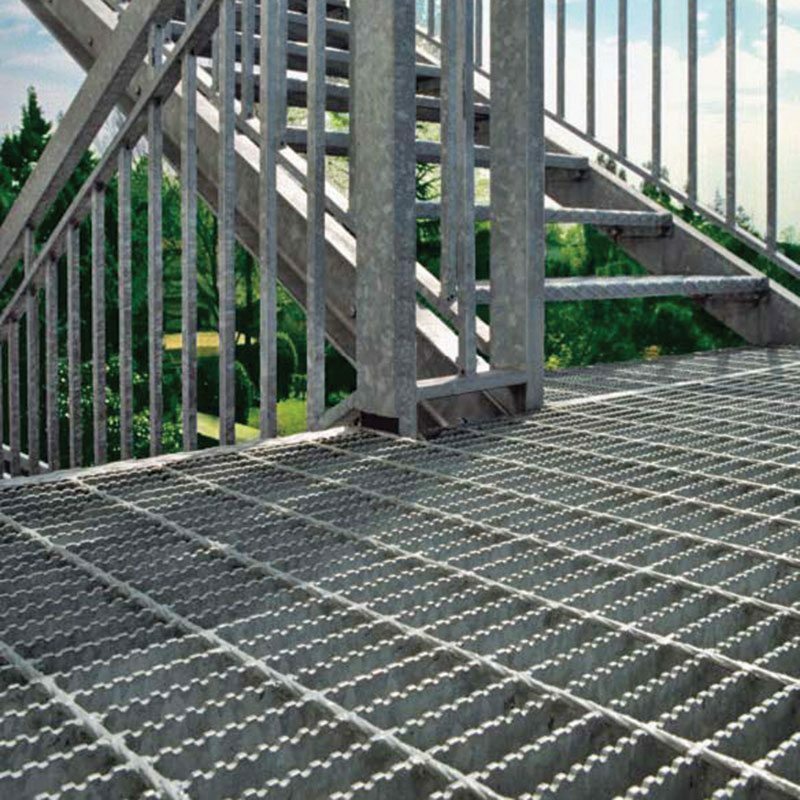 Type EFS Safety Gratings are available in the following mesh sizes (c/c): 15×76 and 22×76 with a 30×3 mm bearing bar. 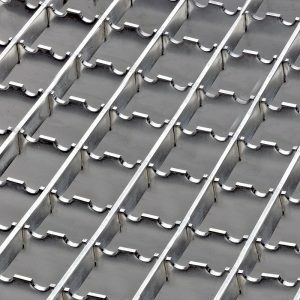 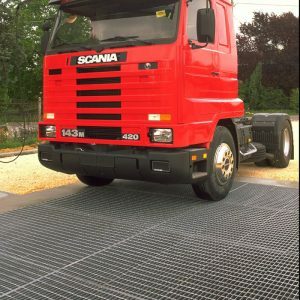 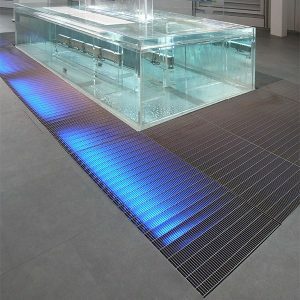 General Purpose Gratings (Type-EFS): anti-slip gratings manufactured in the following mesh sizes (c/c): 25×76, 30×50; 30×100; 34×38; 34×76 mm. 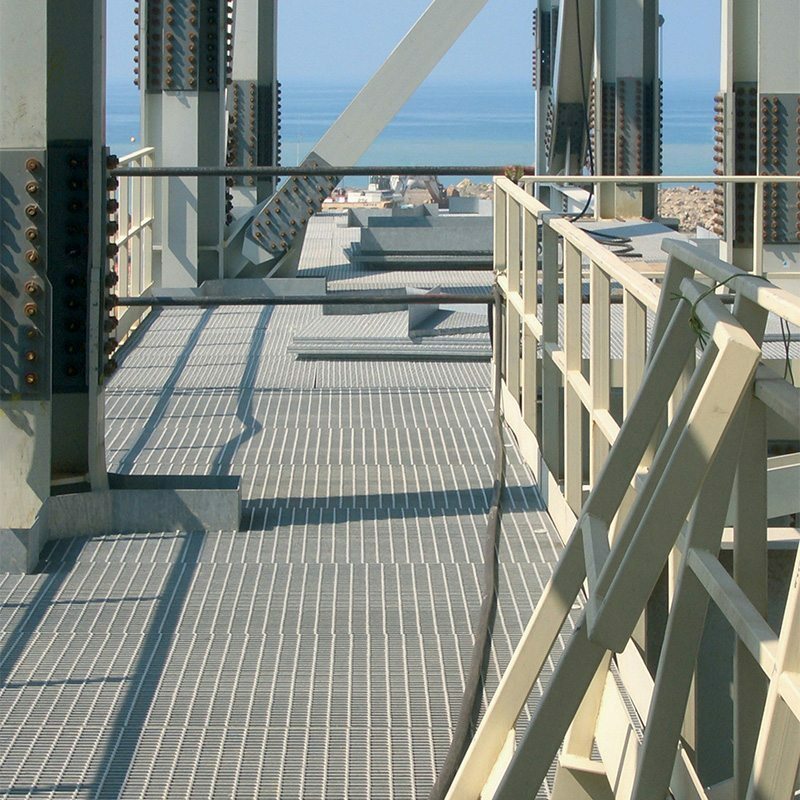 Bearing bars vary from 30×3 mm to 40×3 mm.